Mulberry leaves have traditionally been used in the Orient as herbal medicine. In recent times it is being used to help prevent and recover from many common disorders created by our modern lifestyle, such as high blood pressure, high cholesterol, and type 2 diabetes. DNJ- Its unique component of a compound known as 1-deoxynojirimycin (DNJ), can only be extracted from the mulberry leaf. It controls absortion of gulcose and helps to decrease the amount of gulcose in blood. As a result it prevents the increase of sugar levels in bloodafter a meal. In studies, this has proven helpful to many type two diabetics. Mulberry leaves are known to have multiple benefits to health. In general, theycontain detoxification properties. This helps restore health problems caused by kidney ailments- such as migraines, diabetes, leucorrhea, and high cholesterol. Compared to green tea mulberry tea has twice the amount of iron, and is grown organically while leaves used for green tea usually suffers large amounts of pesticides. Also mulberry tea contained 27 times more calcium than milk in comparison studies. One of the most unique qualities of the mulberry leaf is that it prevents sugars from entering into your bloodstream. A research group in Japan found that mulberry leaves contain compounds that inhibit intestinal enzymes from passing sugars into the bloodstream. This inhibitor compound known as 1-deoxynojirimycin (DNJ), can only be extracted from the mulberry leaf. By preventing large amounts of monosaccharide from entering into circulation, mulberry teas helps prevent and fight diabetes. Because it blocks unwanted excessive sugars before they even enter the bloodstream, it can also help with weight problems. We recommend having a cup of mulberry tea on the side when enjoying our delicious desserts. This combination makes your snack time healthier and a little bit more guilt-free. For the most effectiveness, drink the mulberry tea with meals. Sogo JA Hatano in Kanagawa prefecture, Japan. (1)When I ate 3 meals a day, when shall I drink a mulberry tea? (2) How much or hot or cold? (3) what about when I have a snack during my meal time? I need to know and thank you for your reply. Where can I buy Mulberry Tea in retail store in San francisco are? I’m very sorry for the delay. Please visit our website for the store locations. am interested in trying mulberry tea, but am sensitive to anything with caffeine. Doe you have mulberry tea that is decaffinated? 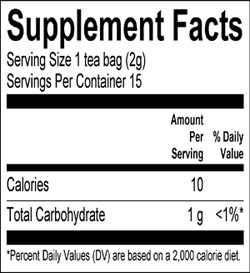 Yes, our mulberry teas are all decaffeinated, organic and all natural. Visit our website at http://www.organicmulberrytea.com for further info. where can I shop for White Mulberry tea? in Maryland. I am taking medication (metformin) for type 2 diabetes. Will mulberry tea interfere with it? I am trying to wean myself off of medication. I’d suggest to check with your doctor to see what he or she will have to say. 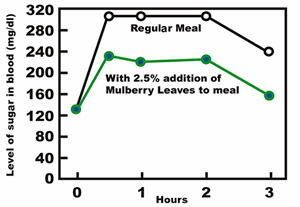 how often should i drink the mulberry tea? and i also eat the dried berries how much and how often should i eat them? what benefits/side effect will there be if i drink/eat too much…i guess I’m asking can i overdose on it? Where can I get tea in Pennsylvania ? Can I order the greenoodle & mulberry tea on one order? I’m assuming they are both from the same company.